Irene on +64 9 8189123 or fill in and submit the form below. Author, Motivational Speaker, Seminar leader, Corporate Trainer, & Entrepreneur. 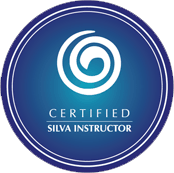 The Silva Method is one of the most profound approaches to the human potential movement that I‘ve ever discovered. Work with the source directly which is the Silva Method. I want to strongly encourage you to get involved with the Silva Method and take your life to the next level in terms of health, wealth and happiness. You owe it to yourself to do that.